Hayate finds a cursed heirloom that gives him even worse luck than he had before. It’s Hayate… but it’s not very funny. I couldn’t care less about Nagi’s imouto, and there are too many characters to give any of them the attention they deserve. I’ve been reading the manga for Hayate too (although I’m like a year behind) and I hate to say it, but Hayate no Gotoku should have stopped when it was ahead. At this point the jokes are getting stale, and each character tends to barely get any screentime. Introducing new character after new character seems to be the trap that most shounen manga fall into when the writer has run out of things to say. Maybe they should take that as a hint that it’s time to start fresh. At least it was nowhere near as atrocious as that Hayate OVA. Storytelling – D – Not as funny as it should be. Voice – F – No badass narrator. Characters – C – It’s still Hayate, with its infinite shipping potential. Attention Grab – D – Found myself bored at times. Retarded character designs (I frowned when I saw them in the movie, despaired when they returned in the series), lack of narration by God himself – which is usually the source of half of the funny in Hayate – an attempt to move to drama/plot development, which is always a clear sign of a comedy show going down the drain, and an annoying new character. I gave up halfway, when it seemed like they’d go back to the drama which they had initially started off with but had miraculously dropped after the first episodes. With no God, the half-assed drama, and Tsugumi it was a disaster. While I enjoyed the first season despite only watching like 10 episodes or so, it seems like this is one of the stuff that JC Staff did better at…. Maybe this is an indication that they should revert back to the status quo. Then again, I didn’t watch this nor the movie, so I haven’t experienced the trainwreck that Manglobe created in slow motion. 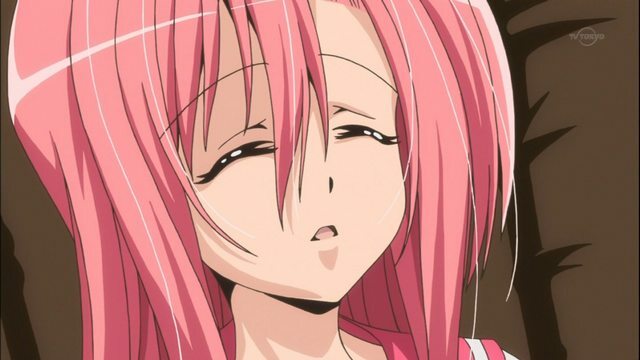 Hayate no Gotoku, Inflicts Eyes Cancer on You. They should have changed the title to this. I have stopped reading the manga too, some years ago. It was amusing when there are only Nagi, Hayate, Maria, the butler, the fat tiger, Wataru and his maid, the kimono girl who always gets lost, Hinagiku and his oneechan and the idiot trio. But somehow the number of characters keep bloating, to the point of me tossing the manga aside. Agreed. Once they went to Greece was when I lost interest, although the cast was already getting bloated at that point.